This Window Hanging Light Box Works Best with Translucent Posters! 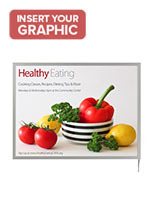 This Signage is Sold at a Wholesale Price Making it Affordable! This Window Hanging Light Box is One of Many Products Sold Here! Life span of up to 100,000 hours when used 24 hours a day, seven days a week for a low maintenance display that saves businesses money. 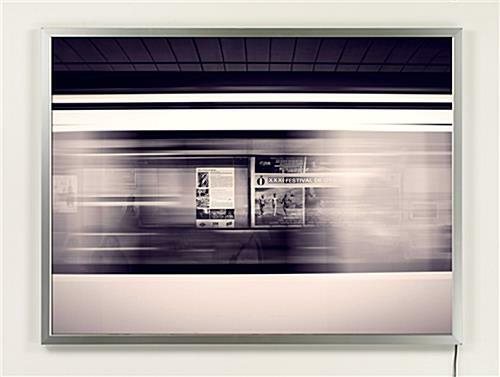 22" x 28" Frame holds large format posters which are visible from greater distances than standard size prints. This indoor window hanging light box gives establishments a better chance of drawing customers into establishments from off the street. 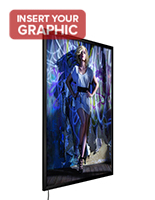 This sign display, back lit lightbox frame comes with bright LED lighting for putting posters under the spotlight. 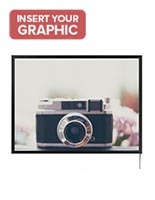 This window hanging light box that touts images includes small bulbs at the edges for garnering more interest and illuminating the entire translucent poster. Each of the lightboxes of this ilk come with suspension sets for affixing the sign display to the ceiling. 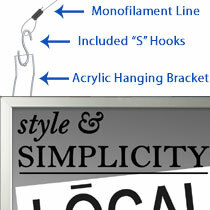 These sets feature (2) 60" length monofilament lines, (4) "S" hooks, (2) ceiling hanger clips & (2) toggle bolts. The window hanging light box also comes with two polycarbonate brackets. These brackets attach the suspension devices to the back of the poster holding frame. Each lightbox has two pre-drilled channels for inserting the brackets. The window hanging light box with reinforced fastening tools works in both landscape and portrait format. 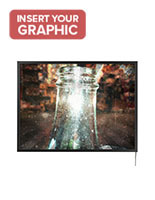 Marketing campaign managers can maximize their efforts with this lightbox. 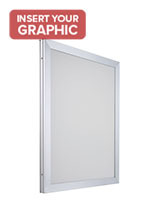 This window hanging light box that minimizes electric bills is a versatile advertising tool because it can work in restaurants, retail stores, movie theaters, and more. 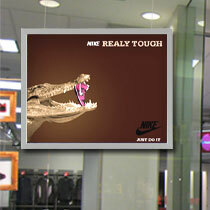 Users can change posters out with relative ease thanks to the snap frames. This technology does not necessitate users to uninstall the suspending equipment when putting in new images into the sign display. The back lit lightbox, window hanging light box is also very slender. The thin profile makes the unit a fantastic add on to pre existing shopfront exhibits. This window hanging light box is very affordable. Many users have accounted that they have utilized these lightboxes for years with no need of upkeep. This window hanging light box that reduces costs use less electricity than traditional neon signage. 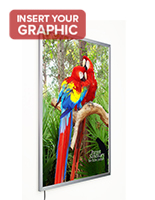 Lightboxes are the ideal solution for advertising 22" x 28" posters in any situation! 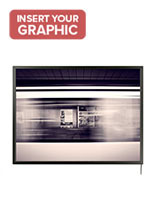 70.9" x 29.6" x 0.875"